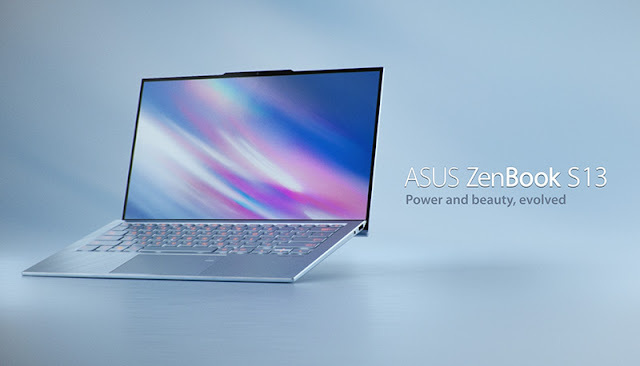 As a refresh to its ‘StudioBook’ series of portable ultrabooks, ASUS recently introduced two new additions (ZenBook S13 and ZenBook 14) to ZenBook S series. Though the latter is bigger, the former is the more premium and interesting ultrabook out of the duo — literally, and because ASUS claims it has the world’s limmest bezel on a laptop. Despite its small and compact size, the ASUS ZenBook S13 UX392 is feature-packed and has almost everything you could possibly want from an ultrabook. From an nearly bezel-less brilliant display quality to a notch-like extension at the top, nicely built and spaced backlit keyboard, Intel Core-I series of processor, discrete garphics, impressve battery life etc., the ASUS ZenBook S13 is a top-of-the-line portable ultrabook that stands out from the pack. Announced alongside other mindblowing tech and innovation at the recently concluded CES 2019 event, ASUS wowed the audience with the ZenBook S13 when it announced it as the laptop with the slimmest bezel in the world. The device has a sleek aluminium body, sturdily built with components fitting perfectly in and on its 12.9 mm (0.5 inch) thick chassis which weighs just 2.4 pounds. 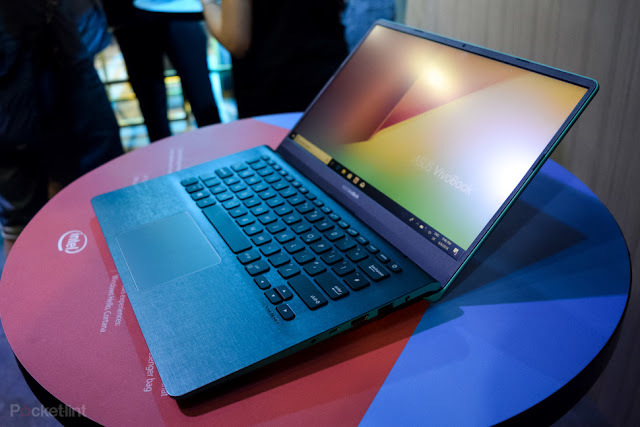 And though some compromises had to be made to achieve such slim architecture on the ultrabook, ASUS still managed to fit in a full-sized USB 3.1 port on the ZenBook S13 in addition to two (2) USB-C ports, a micro SD card slot and a 3.5mm audio jack. On the rear, the aluminium body of the ZenBook S13 comes with the concentric circles peculiar to ultrabooks from the company’s ZenBook S series. The circles are reflective as they shine when exposed to light, adding to the ultrabook’s aesthetic properties. There’s a fingerprint sensor for Windows Hello authentication built into the touchpad. The keyboard is made of decently sized keys with a key press of 1.4mm. When you open the ZenBook S13 lid, the bottom dashboard/deck that houses the keybpard and touchpad is made of diagonally brushed aluminium which adds to the aesthetical properties of the ultrabook. The ASUS ZenBook S comes with a 13.9-inch Full-HD display which extends fully to the tiny frame of the laptop. Usuauly, what contributes to the thickness of a laptop’s bezels is the need to fit in a webcam at the top of the display (or anywhere). To solve this problem, ASUS created an extension solely for the webcam at the top of the ultrabook’s display. This extended frame also doubles as the “lid opener” which enables users easily lift up the lid when closed. The ZenBook S13 comes with a 50Whr battery which ASUS claims can supply 15 hours of usage time. While the projected battery lfe might be true (on paper) as the manufacturer claims, you should however expect between 8-11 hours in real-world. Might be shorter or longer depending on usage intensity of the portable machine.